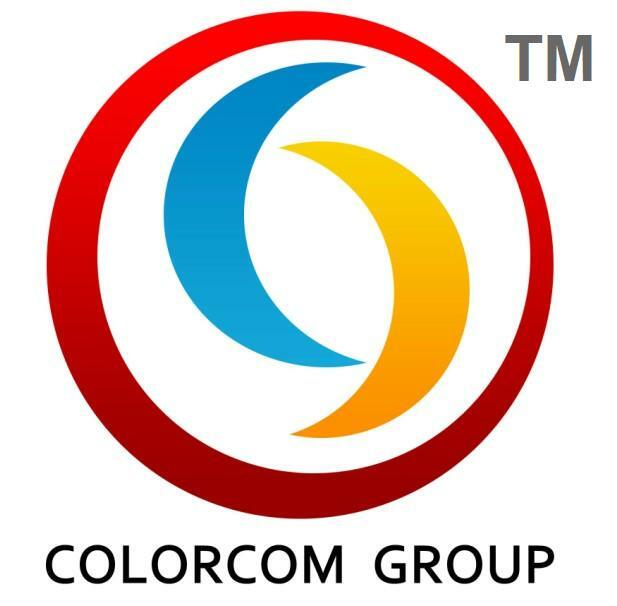 Colorcom Group is one of the largest pigment & dye manufacturer in China. Having been concentrating on colors & chemical industries for more than 30 years, Colorcom now has become a professional & comprehensive chemical group in the international market. Hangzhou Colorcom Co., Ltd is subordinated to Colorcom Group, which is one of the largest manufacturers of colors & chemicals in China. Colorcom Group is recognized as a top world-class colors & chemicals supplier for superior quality consistency and outstanding service. With more than 30 years' development, now Colorcom Group has diversified into several relevant chemical industries in order to better serve our distinguished customers. By 2016, we have 12 affiliated chemical manufacturing factories in mainland, China. Colorcom Group is one of the largest chemical manufacturers in China with capitals, management, facilities and technologies from the USA and Italy. Our manufacturing products including pigments, dyes, masterbatch, cellulose ethers, redispersible powders, polyvinyl alcohol(PVA), fluid loss additives, Polyacrylamide (PAM), resins, fine chemicals, pharmaceuticals, additives, auxiliaries, solvents and other specialty chemicals for multiple industries that we serve. We focus on manufacturing high quality consistent products with reasonable prices, which enables us to have a good reputation and to capture a big market share in the world. We welcome you to visit our factory in view of long-term partnerships with each other. Hangzhou Colorcom Co., Ltd was established in May, 2013 to be in charge of the import and export business for our group, with the registered capital of CNY: 10,000,000.00. The company is headquartered in Hangzhou city, Zhejiang province, which is the very famous scenery city in China. Welcome to visit our company. We will have a very pleasant time together in the place of interest ......"West Lake". Beside chemicals, Hangzhou Colorcom Co., Ltd also deals in other commodities, such as gifts, scarf, socks, umbrella, garment, Purse etc. As Yiwu city becomes an international inland port of China now, we have set up our branch office in Yiwu so as to control every thing well and provide one-stop service for our global customers. Now we can also provide value added China sourcing solution for multiple industries to our worldwide partners. In a word, our products are colors & Chemicals, but you will get from us more than colors & chemicals. Contact us today, for a fruitful tomorrow.